No, not the television show, which I’ve never seen. Just the eponymous novel it’s based on. And no, I haven’t yet read the two subsequent novels in Lev Grossman’s trilogy, so there’s nothing about either of them here either. You’ll want to know the elevator pitch for The Magicians: the novel is a dark and sophisticated YA fantasy, clearly based in part on tropes from J.R.R. Tolkien and J.K. Rowling (and surely C.S. Lewis, but that’s pretty much out of my experience). It is, however, very different from those visions. Its sense of the interplay between fantasy and reality is not that of Lord of the Rings, where magic is matter-of-factly intertwined with what we today call reality, nor that of Harry Potter, where magic is carefully hidden from muggles, who are limited to our so-called “real world.” Grossman pays homage to these other writers but has built his own fictional world that pulls you in and makes you believe. It’s partly a coming-of-age novel in which protagonist Quentin grows up, in ways reminiscent of Frodo and Harry, but it’s so much more. You’ll want to know whether you should read the author’s essay. 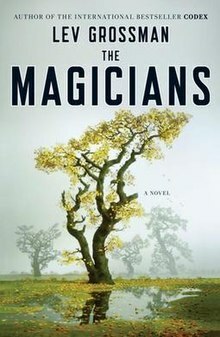 “A Brief Guide to the Hidden Allusions in The Magicians.” The answer is an emphatic yes, but a question remains: when should you read it? 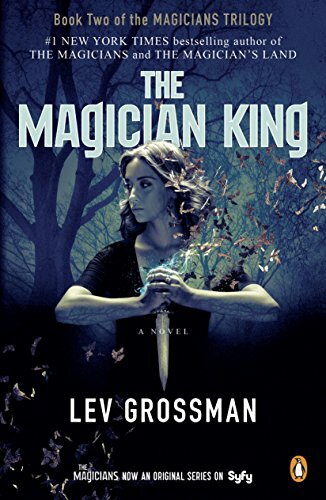 Before, during, or after you read The Magicians? Well, that depends. If you like to be fully prepared for the surprises of a novel, read Grossman’s essay first… but wait, that’s a terrible idea, just inviting spoilers. So you can try noticing the allusions as you read, have the pleasure of finding what you can, and then read the essay when you’re done. If that kind of delayed gratification is too much for you, just go back and forth, since Grossman kindly annotates his explanations with page numbers. Be sure not to peek ahead and spoil the surprises. By the way, it turns out that I recognized fewer than 10% of the allusions, mostly because I have only minimal acquaintance with D&D, World of Warcraft, Lloyd Alexander, William Morris, and so forth. Your mileage may be better than mine.